In the mid 1980s, Bang & Olufsen entered the field of telecommunications. This was partly because of the merging of the applied technologies and partly because the company needed to acquire experience in digital communication. This led to the formation of a separate company, DIAX, for the development of digital telephone exchanges. Later followed the formation of TELECOM for the purpose of developing telephones for consumers. 'Bang & Olufsen Telecom' began production of telephones in 1986 following an approach from the then Jydsk Telefon. Inspired by B&O's proven competence within the audio-video segment, the Danish telecommunications company was eager to exploit this expertise within the field of telephones, especially in terms of design and sound. Seeing telephony and telecommunications as future areas of interest - and anticipating steadily increasing convergence between telecommunications and the A/V systems of the future - the Group formed a partnership with Jydsk Telefon. In addition, B&O had experience with transmitting sound to the ear - via earphones. The result - Beocom 750 - broke with all conventional telephones in terms of design, sound and functionality. 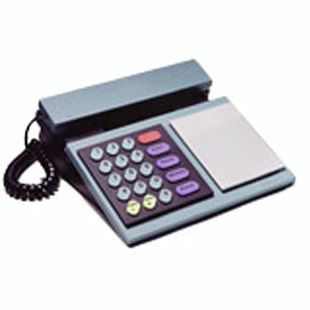 Launched in Jydsk Telefon's teleshops in December 1986, Beocom 750 was adopted by other telecommunications companies after only a few months in the market. In April 1987, the first Beocom 750 was exported. Do you have any further Images or Technical Specifications for this product?